One more week at the luxury hotel in Alicante Asia Gardens Hotel & Thai Spa, we continue our gastronomic route around the Asian continent. Today we want to tell you about turmeric and its role in Asian cuisine. Keep reading! There are many uses of turmeric. Due to its colour and flavour, it has earned a privileged place in Indian cuisine. It has also become popular in Southeast Asia and in Middle East. The use of this spice gives dishes its characteristic yellow colour. After adding turmeric, food takes a slightly sweet and spicy flavour. Turmeric is one of the main ingredients of sauces, stews and other popular Asian dishes. Asian people have been using it for over 4,000 years, not just in food, but also in the treatment of different illnesses. Due to its benefits, it helps treat different digestive disorders. We can find turmeric in two versions: fresh and powder. Any of these two options is very aromatic and tasty. According to experts, the rightest way of including turmeric in your recipes is by using fresh root. There are some studies that suggest that cooked turmeric and raw turmeric could have different properties. The fresh one is believed to have a more powerful anti-inflammatory effect. Natural colourant. Due to its vibrant yellow colour, it is used to add colour to butters, cheeses or mustards. Besides giving colour, it gives aroma and a very nice flavour. Curry´s basis. Curry powder is used in many recipes. It is well known that curry comes of the mix of different spices, among which is turmeric. Turmeric is the one that gives curry its characteristic yellow colour. More than one dish. Turmeric is an excellent spice for cooking pasta, rice, soups or stews. It gives food a flashy colour between yellow and orange, and a delicious taste. Saffron substitute. Turmeric is a perfect option, and a cheaper one, to replace saffron. Although they don´t taste exactly the same, it is a good alternative. During your visit to the luxury resort Asia Gardens Hotel & Thai Spa, you will be able to enjoy the aromas and flavours of Asia. 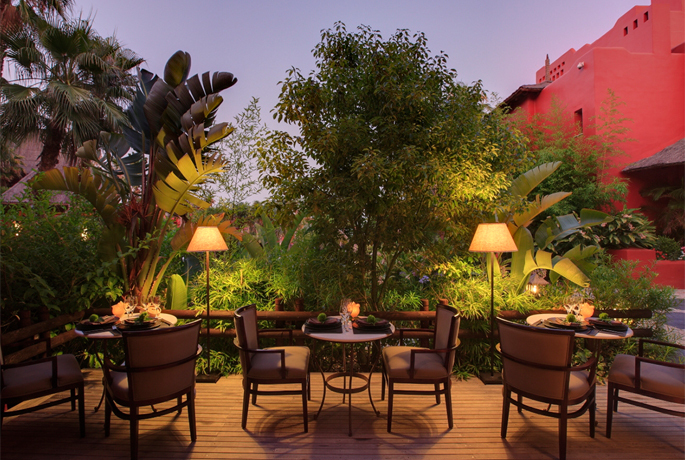 Exclusive spring dinners at the Koh Samui terrace enjoying its new menu!